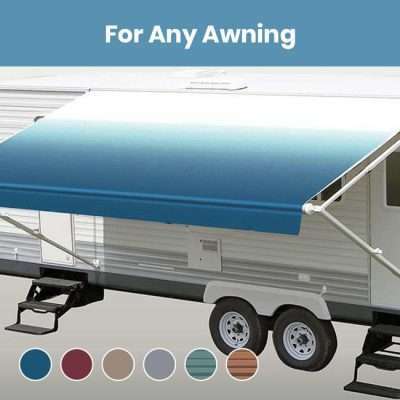 Shop for 12 ft RV Awning Replacement Fabric and choose from a variety of colors and patterns. 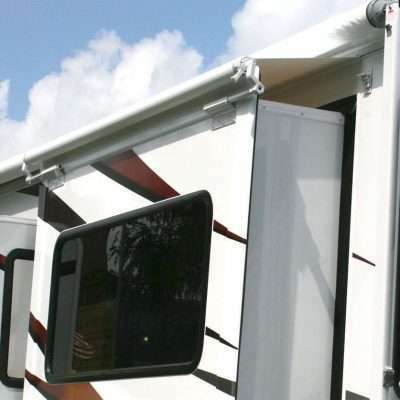 We make our RV awning replacements from 15 oz vinyl with a 16 oz white vinyl weather guard. The canopy has hemmed edges and a cord sewed in, along with a new Pull Strap.